Malcolm Dowd is almost positive he recognizes the freshman who shows up for a session at his office in Baxter College's Center for Behavioral Health--he just can't place her. When suddenly she stands, takes off her wig, and reveals herself as Noah, the young man Malcolm had been treating months earlier, it marks the start of a relationship that will change them both. After losing his wife at a young age, Malcolm dedicated himself to giving his two daughters the stable, predictable childhood he never had. But now nothing is predictable--not his young adult daughters, not himself, and certainly not Noah. Whether he's attending class or rehearsing for the campus musical, Noah finds he's often challenging everyone's definition of gender. During the course of one semester, Noah's and Malcolm's lives become entwined in ways neither could ever have imagined. Told alternately from Malcolm's and Noah's perspectives The Listener explores the ways in which we conceal and reveal our identities. As truth after truth is exposed, characters are forced to reconsider themselves and reorder their lives, with few easy answers to be found for anyone. 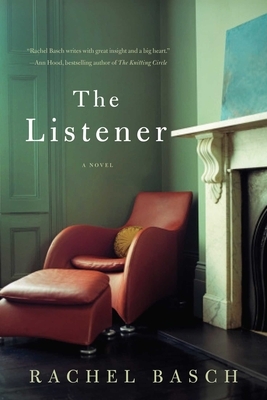 The Listener is, ultimately, about the power of human connection and the many shapes that love can take.